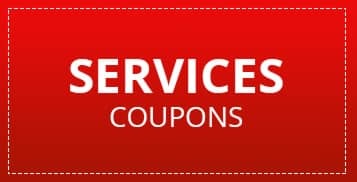 When you need emissions & inspection services in Los Angeles and the surrounding area, North Hollywood Toyota Service Department is ready to help. With our dedicated staff and our quality training, your vehicle is going to get the care it needs when you are having emission problems with your vehicle. At our facility in Los Angeles, we know what it takes to provide you with the highest quality of customer service throughout the repair process. Whether you are going to wait for your vehicle in our newly remodeled waiting room for guests, or you take our shuttle back home to wait for your vehicle, we understand that you depend on your vehicle every day for all of of life’s needs. When your car is showing signs of problems with your emissions, it’s time to get your car serviced from a reputable dealership. If you have failed your inspection because of the emissions, our well-trained staff will find the problem and provide you with options when it comes to repairing your vehicle. A car that fails emissions testing may have a number of problems, and we will work hard to uncover the reasons for poor quality emissions to get you back on the road as soon as possible. Relax in our new waiting room while we do diagnostics on your vehicle in order to determine what may be wrong. Sit back and enjoy complimentary doughnuts, coffee and a wide screen tv while your car is being worked on. Once your car is repaired, any parts used and the labor is guaranteed, no matter how many miles you have put on your vehicle during the year. Most extended warranties are honored at our repair facility. a defective oxygen sensor that needs to be replaced. problems with a poorly maintained ignition system. leaks in your car’s vacuum system, either in the vacuum lines or gasket. No matter what the problem is with your vehicle, we will get to the bottom of the problem and fix it. When you need to get your vehicle back on the road and you need quality repair work done on your vehicle. Our highly skilled staff will talk with you about the repair work that is needed and provide you with an estimate before any work is done on your vehicle. At North Hollywood Toyota, we are ready to provide you with the best emissions & inspection services in Los Angeles and the surrounding area. Give us a call today at 800-758-5949 to set up your service appointment with our dedicated, well-trained staff.